Hey Summoners, World Arena Season 7 started last October 15th and here’s a quick info regarding the update and rewards including some improvements on Tartarus Labyrinth! Also, new Summoners created after this patch update will receive daily special bonuses for 14 days! Check it out now. Summoners War v4.1.1 has been updated. This patch includes the start of the 7th Season for World Arena featuring Phoenix’s Flame Ruler Transmogrification. 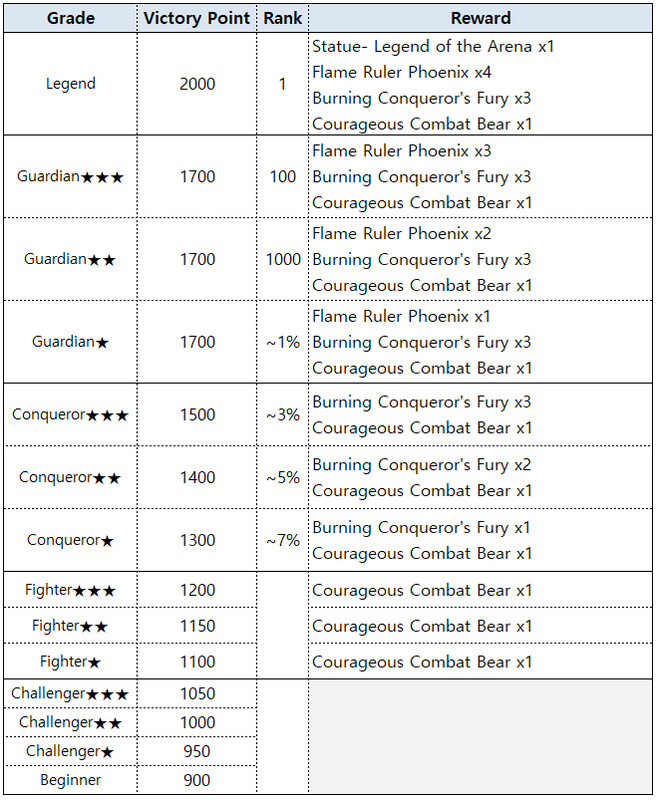 While only the top 1% of players (Guardian rank and above) can receive this reward, fighter ranks and up will still get a Courageous Combat Bear ride. Details can be checked through the maintenance notice. ※ You will be downloading a large amount of files additionally due to massive update. We highly recommend you to download additional files in Wi-Fi condition. – The World Arena Season 7 will begin on Oct. 15th 12:00am PDT in all servers. ※ You can’t transmogrify [Flame Ruler Phoenix] with Shapeshifting Stones. – Labyrinth related loading tips have been added. – Improved the readability of the free Energy stage effect that opens after Tartarus is defeated. – All stages will now maintain the difficulty level that you successfully attacked on that stage. – Mana Stones and EXP will no longer be given when you fail to successfully attack the stages. – The game will start immediately after downloading the minimum amount of additional data. Rest of the content will be downloaded as you start the tutorial. ▶ 14 days of special bonus for new Summoners! [Goddess Ameria’s Blessing] has been added. – New Summoners created after the v4.1.1 update patch release will be having the following benefits for 14 days. 1) Daily 50 Energy Gift – The item will be sent to the Inbox when you login to the game for the first time every day. 2) EXP/Mana Acquisition 100% Up – The amount of Monster EXP/Mana acquired from battles will be increased by 100%. * Cannot be used with EXP Boosters/other event effects at the same time. 3) Free Rune Removal – You will be able to unequip Runes for FREE. 4) Make a Wish +1 – You can make a wish for 1 additional time every day. You can purchase the Temple of Wishes at [Shop> Building] Menu. ▶ Summoners of Lv. 15 – 30 can now check the Daily Pack Ⅰ& Ⅱ at any time from the Icon displayed on the left side of the village screen. – Fixed the issue of the passive effect activating with the last hit only when attacked with the multiple hitting attacks. – Fixed the issue of the monster sorting interface being displayed in one line when you engrave runes at the battle ending screen. : Fixed the issue of the direction and size of Ellia’s ride displayed awkwardly.